Seven years ago, I told my parents I would be giving up a masters degree and years of clinical work as a hospital-based speech-pathologist to start my own photography business. This news was met with raised eyebrows, and maybe even a cringe. Though I could never have predicted the amazing ways this career has changed my life, I knew there was a fire in my belly to make an impact. And I knew it was about more than making beautiful photographs. It was about the people in them. 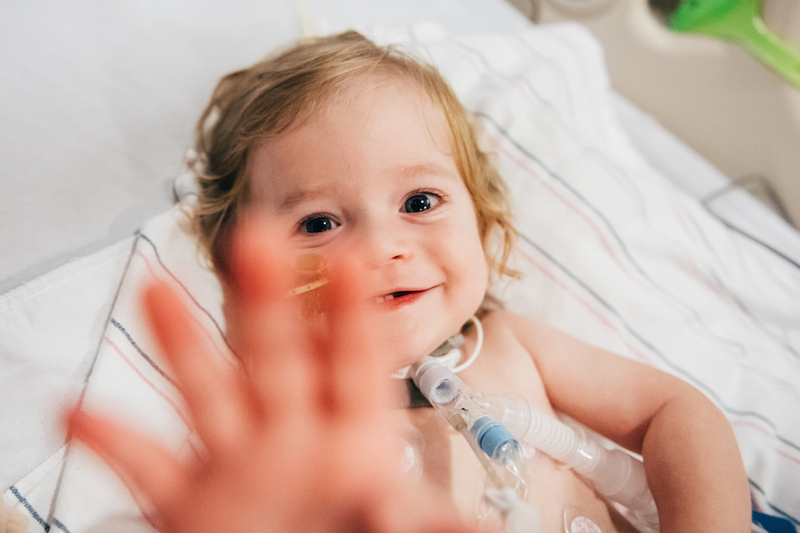 The sweet little face looking up at you now is a boy named Benjamin, who is currently recovering from acute flaccid myelitis, an extremely rare viral infection of the spinal cord that occurs in less than 1 in a million people. There is no known cause for his condition, but research is hard at work to know more. I met Benjamin’s mom less than a year ago through a mom’s group in Wayland, and when myself and the other moms heard the frightening news about his admission to Children’s Hospital, we all wanted to know what we could do to help. 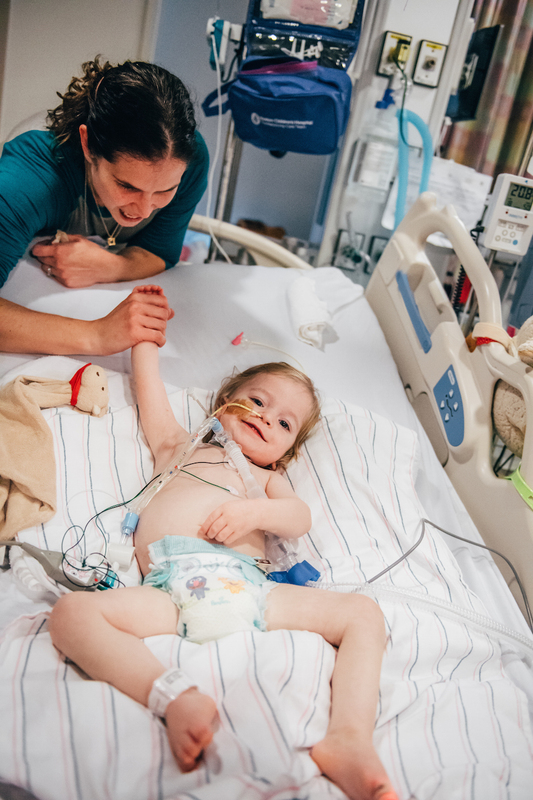 His parents, Becky and Trevor, have spent every day in the hospital with him for nearly the last two months. When they expressed an interest in having photographs taken of his recovery at the hospital, I was beyond happy to donate my services, and so, so excited to see his progress in person. The image above is the first photograph I took of Benjamin when I walked into his room last Wednesday. HUGE smiles. Tons of curiosity. Ready to play with the arsenal of toys surrounding him from loving friends and family members. And it dawned on me that he’s kind of having a blast. As adults, and especially parents, watching a child suffer is heart wrenching. Emotionally, it’s hitting below the belt. But right now, Ben is able to move around his bed, cuddle with his parents, communicate most wants and needs, and get plenty of nutrition from the little tube through his nose and down to his belly. He doesn’t miss food socially or culturally like we would, and he is loved from every direction all day long. Not just his parents, but from the staff and other patients who constantly stop by to check in and socialize. A ventilator supports his breathing through a tracheostomy tube, but he doesn’t know this to be different from how life is supposed to go. 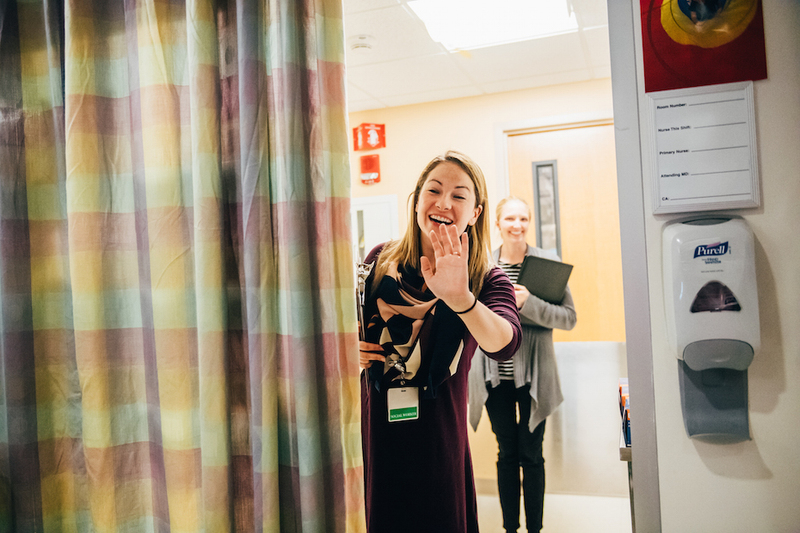 Not every moment is pain-free, but then again, neither is life outside a hospital room. From this perspective, children are much better equipped to adapt and recover than we would be as adults. From Ben’s perspective, he has everything he needs in life. While this could have been an intimidating situation to walk into, I felt right home in the clinical setting. I understood the function of tubes and machines, and very quickly, they disappeared from my view. I saw a happy boy, exploring his environment and playing with his parents. I saw parents, giving Benjamin and each other, every ounce of energy and support they have. I didn’t see a sick child. I saw a beautiful family. Ben won’t have a memory of these months of recovery, but I hope these photographs will one day help him understand that he wasn’t surrounded by tubes and machines, he was surrounded by love. If you or someone you know has a child struggling with severe illness and would like documentation of their recovery, please reach out through the contact link below. janet bosong - What a wonderful job of portraying this beautiful family! I know them personally , and pray that you will be photographing Ben’s continued progress toward home.